If you suffer from migraines, you know from experience that prescription medication can only do so much to help relieve your suffering. You also know that your next headache could still strike at any time, and as a result, you may lead a life of fear and trepidation, never knowing when the responsibilities of work and family will once again fall victim to your throbbing skull. Unfortunately, despite the many advances in medicine, there is still no real cure for the migraine headache. 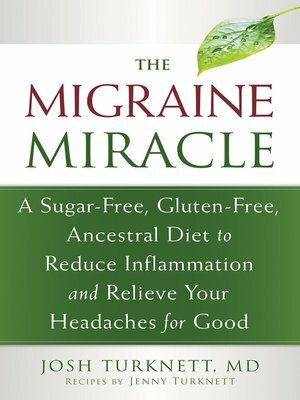 In The Migraine Miracle, a neurologist with a personal history of migraines offers readers the revolutionary dietary cure that has worked for him and continues to work for his patients: a diet low in wheat, sugar, and processed foods, and high in organic, protein-rich animal products. The book also explores the link between inflammation, diet, and migraines, and contains a 21-day meal plan to help readers change the way they eat. By following this easy meal plan, millions of sufferers will discover a life free from symptoms—once and for all. The book includes comprehensive, research-based information that explains what the brain goes through during a migraine headache, the phases of the migraine, and how a diagnosis is made. It also explores the risks and benefits of migraine medication, natural remedies for migraines, dietary migraine triggers, and detailed, specific instructions for a migraine-free eating plan. If you have tried migraine medicine but have not found real relief, it's time to try something new. By changing the way you eat, and understanding what foods can trigger your migraine, you can start feeling better longer, without the threat of a migraine always looming over everything you do.